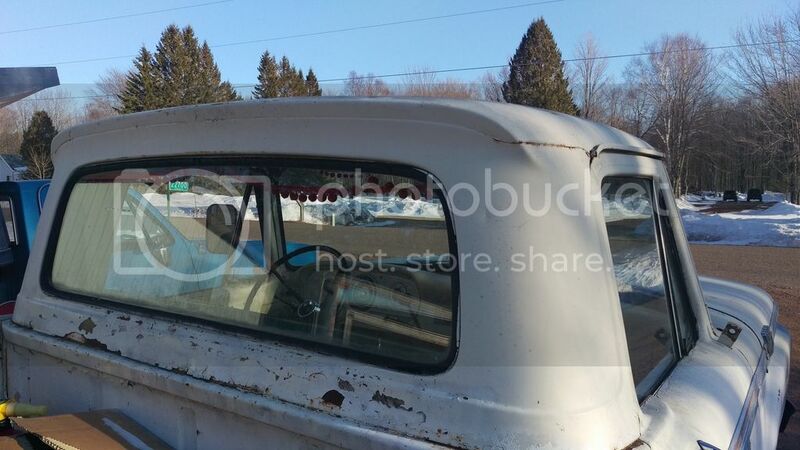 I have been working through some issues with my '63 F100 223 budget build. The most significant issue that I have is that it has a Carter YF that the choke has been removed from. Also, the dizzy is loadomatic but the carb is not equipped with the control valve. I would really like to get some constructive feedback from somebody with practical experience. I look forward to hearing your thoughts. I pulled the trigger today and ordered the parts that I referred to. I hope that they are of good quality. There was a time when I desperately wanted to swap the load-o-matic distributor in my '55 Ford Courier with a 1968-72 Ford 240cu in Truck distributor that has mechanical advance. In my opinion it is the least hassle of any dizzy swap you can achieve for the 223. Use the old gear off the '55 dizzy and fashion a new oil pump drive shaft to fit with 1/4"-5/16 hex transition. Otherwise a direct drop in. Could keep the old Holley 1904 carburetor, but remove the vacuum line from carb, plug the port in the carb and connect to vacuum line to intake. Looked for a 240Cu in dizzy for a long time. None anywhere. None in junkyards round here either. Too old. You can get all the 300 Dizzy's you want if you wanna do all the extra machining.